“I don’t pretend to be able to do TV diagnosis, but I think the guy has a problem,” Dr. Stein said on Politico’s “Off Message” podcast. “The guy has a lot of problems -- physical, mental, emotional, cognitive,” Stein said. The 66-year-old candidate said the business mogul’s behavior was erratic, pointing to Trump’s statement Friday on President Obama's place of birth. Besides the birther comments, she slammed Trump for revising his recollection of his opinion of the war in Iraq, as well as a lack of clarity in his immigration policy. 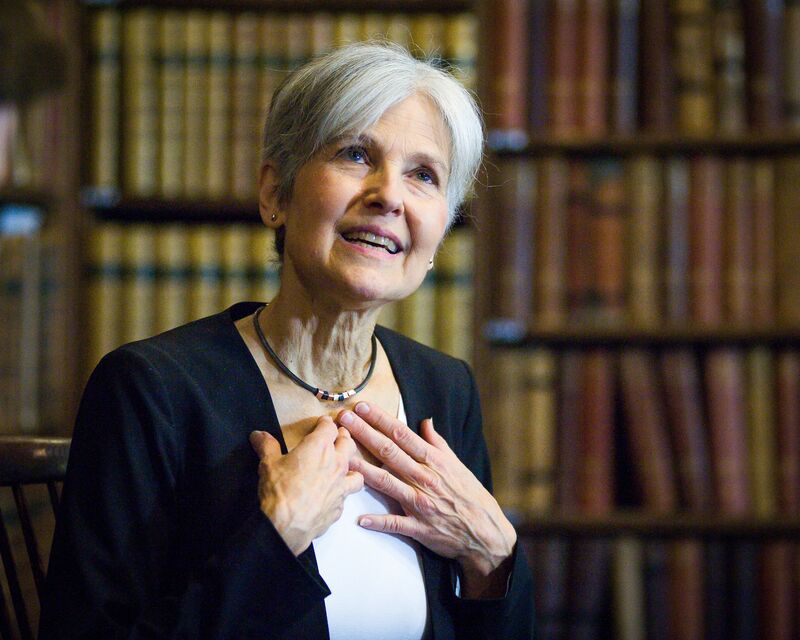 “Whether it’s movement, or confusion, I’m not sure,” Stein chuckled. But the former internist also used the nearly hour-long interview to criticize Hillary Clinton; though she didn’t comment on her recent health complications with pneumonia. The Democratic nominee’s experience in the public sector, Stein said, poses a greater threat than a Trump presidency because she knows how to navigate policy through the complex chambers of Congress. “She has the potential to do a whole lot more damage,” Stein declared in terms of war involvement and climate change. Stein, who found out during the interview that she failed to make the cut for next week’s presidential debate, averages about three percent in national polls--potentially enough support to do some damage to Clinton’s prospects in battleground states. The Clinton campaign in conjunction with Democratic-affiliated groups and super PACS launched a multimillion dollar effort in the Rust Belt States to dissuade millennial voters from backing third-party candidates.